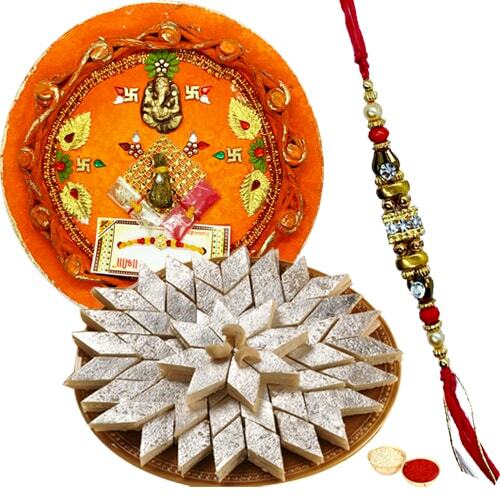 Hear your brothers saying that you are the best sister in the world when you gift them this Arresting Gift of Appetizing Kaju Katli Haldirams Sweet and Wonderful Pooja Thali which comes with a free Rakhi, Roli Tilak and Chawal. The quantity of the Sweet is 250 Gms and the size of the Thali is 7 to 8 inches. The formation of the Rakhi may be different.